The first is one of film noir's finest and boldest: D.O.A. previously recommended here. This "dead man walking" will arrive on TCM Sunday, November 6 at 1:15pm PST. The multi-talented Gordon Parks made his directorial debut at age 57 with 1969's The Learning Tree based on his semi-autobiographical novel of the same name. This touching coming of age story was previously lauded, along with its creator Parks, in an article entitled: Exploring the Artefacts #5: The Alchemist. Included are some clips of Parks' music compositions for The Learning Tree and Shaft's Big Score. The Learning Tree can be studied Wednesday, November 9 at 10:45am PST. 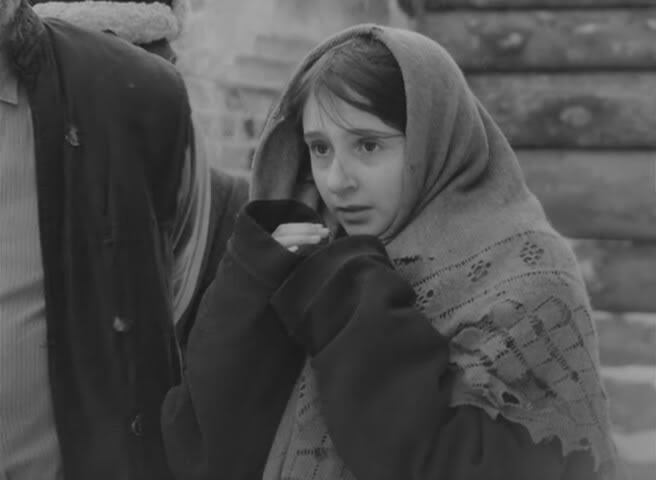 For those who may have missed last month's showing of The Innocents, reviewed here, you'll have another chance to see this extraordinary film Thursday, November 10 at 7pm PST. Journeying to a completely different cinematic landscape there's Preston Sturges' masterpiece Sullivan's Travels, a previous Blu-ray recommendation here. His comedic adventures will begin Friday, November 11 at 12pm PST. Later that same afternoon is another offering starring Joel McCrea and one of the western genre's finest, Top Ten Western #4 Ride the High Country. Sam Peckinpah's deeply reverential and moving odyssey will occur that same Friday at 3:15pm PST. Also on Friday is John Ford's incredible The Searchers, another Top Ten Western listed in the #2 spot. The search will begin at 7pm PST. A British cinematic treasure, this time in the romance category, was reviewed as such in Opening Up a Treasure: Brief Encounter. Director David Lean's emotionally stirring "encounter" will begin on Saturday, November 12 at 7pm PST. For a far more light-hearted romantic escapade, it's hard to beat the musical Guys and Dolls, a previous TCM recommendation here. You can bet they'll show on Sunday, November 13 at 8:30am PST. Later, on Sunday, is a film noir bonafide classic The Narrow Margin also a previous TCM recommendation here. This little firecracker is set to explode at 6pm PST. A pre-code charmer sure to delight fans is Blonde Crazy with Jimmy Cagney and Joan Blondell enchanting as a couple of cons. This recommendation was previously made here. The fun will begin Thursday, November 17 at 6:45pm PST. 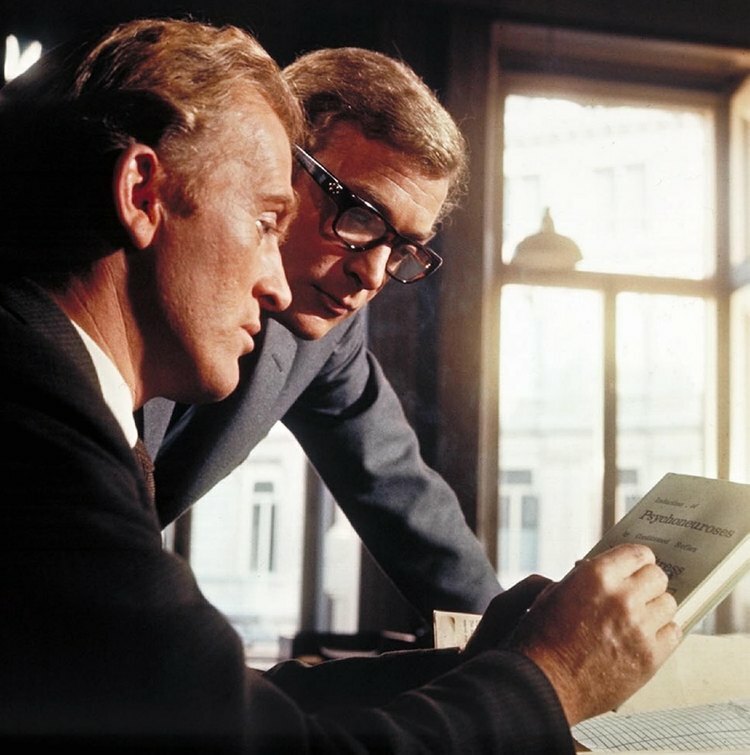 Espionage fans should have a look through The Ipcress File, reviewed here and discoverable Saturday, November 19 at 5pm PST. They will also realise why I chose "Now Listen to Me..." as the title of this column. One of the most harshly realistic and harrowing depictions of men at war occurs in Larisa Shepitko's The Ascent, previously recommended here. Its stridency can be felt Sunday, November 20 at 12:30am PST (technically Monday morning). The great Italian film director Vittorio De Sica along with screenwriter Cesare Zavattini together made 3 neorealist masterpieces: Shoeshine (1946), Bicycle Thieves (1948) and this month's TCM recommendation Umberto D. (1952). These films' simplicity contributes to their powerful influence. Artifice, such as plot machinations and dramatic histrionics, is absent. And although they do not have a documentary feel, all three appear highly observant and embraceable of their characters' most heartfelt and basic pursuits in life. Sometimes the emotions generated by these films are so strong they trigger a negative backlash, with viewers criticising how the characters wound up in these precarious circumstances in the first place, but here that is hardly the creative concern. Nor should it be. Artists of this calibre are obliged to simply reveal their characters' and surroundings' inner personalities and soul, impartially, but in a meaningful and identifiable manner. They succeed because there is no judgement or value imposed on what we see, only recognition of a shared humanity. Their view is toward acceptance and is reflected in their characters' humility and endearing qualities. Umberto Domenico Ferrari, once a Government civil servant, is now an aged pensioner living in Rome, spurned by the society he so dutifully served, struggling to make ends meet. His only friends are Maria, a maid at the boarding house, and his dog Flike. Although his dire circumstances will not be shared by most viewers, the visionary filmmakers' careful and skilled presentation of these people and their emotional responses are recognisably human and timeless as art itself, and as cherishable as its greatest accomplishments. This profoundly moving film can be experienced (updated) Friday, February 22 at 6:30am PST. My final TCM recommendation has a much lighter tone than the preceding two. The Shop Around the Corner, previously recommended here, will open for business and our viewing pleasure Wednesday, November 30 at 3pm PST. A Happy Birthday shout-out to the iconic motion picture composer Ennio Morricone who turns 88 November 10th. A list of his artistic triumphs would seem endless after having composed over 500 scores for films and television in every conceivable genre, not to mention over 100 classical works. Just some of his most memorable motion picture scores include A Fistful of Dollars, The Battle of Algiers, The Good, the Bad and the Ugly, Once Upon a Time in the West, Investigation of a Citizen Above Suspicion, Maddalena, 1900, Days of Heaven, Once Upon a Time in America, The Mission, The Untouchables, The Legend of 1900, and Malena. And he's still going strong! Bravo Maestro! The Soundtrack recommendation for the month, in keeping with its composer's birthday celebration, is A Time of Destiny, a very limited (1000 only) release by Quartet Records. The label has collaborated with Virgin Records/Universal Music Special Markets in presenting the remastered reissue of one of Ennio Morricone’s finest and most expressive scores of its decade. This re-release of the long out-of-print 1989 Virgin Records CD has improved sound and a gorgeous love theme ("Love and Dreams"). Frankly, I'm surprised it is still available from Screen Archives Entertainment. Get it while you can! More information, including international ordering, can be obtained by clicking on the image. As an added treat I've included a trailer for the film Wyatt Earp (1994) which masterfully utilises some of Ennio Morricone's majestic music from the above soundtrack. The quality of One-Eyed Jacks would be unfair to assess by viewing practically any of this picture’s past home video transfers. Typically faded and cropped, these prints could only offer a faint idea of what was originally filmed and imagined for the big screen in glorious Vista Vision technicolor. Nor would it be fair to judge the results based on a delayed and troubled pre-production or an extensively prolonged shooting schedule. Marlon Brando (the film’s star and one-off director) took an enormous amount of time to film One-Eyed Jacks and turned in a cut that reportedly ran over 4 hours… practically unheard of, especially for a western. Paramount finally took the film away from the idealistic first time director and had it edited to under 2.5, using an alternate, more upbeat ending Brando reluctantly filmed but opposed using. Now, thanks to Universal Pictures, Steven Spielberg, Martin Scorsese and the Film Foundation, One-Eyed Jacks (the theatrical version, all other footage is lost) has been beautifully restored and finally presented in high-definition by Criterion. The reason it would be a mistake to knock Brando’s deliberate and exacting fastidiousness (unless one was a financial investor in the project) is simply because we, the audience, are his beneficiaries. Even at half the picture's original length, Brando's leisurely pace and precise attention to detail allow us, for one, to soak up the sublime ambience of the surrounds. Brando's acting skills, both as a performer and director of his formidable cast, are extraordinary, and offer a bountiful of character revelation in each and every scene. Most of all, his temperamental fortitude behind and in front of the camera manifests itself in exploring his film’s underlying theme of repressed emotions, the choices they influence and the effects both have on the human spirit. Most of the many conflicts sensed are harboured internally, heating up and held in tight like a pressure cooker, blisteringly intense and quickly resolved but when they are, watch out for their sudden, explosive and stylish execution. The lack of sustained physically settled drama here can be a source of disappointment for western fans especially at the film’s conclusion. Action-filled resolutions are almost expected in this genre, making One-Eyed Jacks’ conventional defiance a most unusual entry in the field. As stated earlier, the filmmakers’ focus lies in carefully delineating their characters' thoughts and emotions simmering under the surface, not in upholding their setting’s typical dramatic showdowns. There is a more customary romantic element presented but the genuine sincerity of the relationship depicted by the actors is achingly heartfelt, contains some inspired and unique characteristics, and therefore manages to transcend this love affair's conceived limitation. More problematic are a few plot developments late in the narrative. At one point, the aforementioned romance will cause the story's main character, Rio the Kid (played by Brando) to completely alter his life's purpose, a radical departure we are only privy to once the choice is made. Perhaps our identification would have been stronger, his sacrificial moment more dramatically effective, had we watched him "think it through." The other weak segment concerns his mostly (too) silent friend and traveling companion. Rio, after being held captive for 5 years in a Mexican prison, escapes with fellow inmate Chico (Larry Duran). They cover a great distance together for the sole purpose of seeking revenge on the person who put Rio there, even though Chico has urged his buddy several times throughout their travels to give up his plan of retribution. Nevertheless, they stick together throughout this long journey, somewhat like the duo in The Searchers, watching each other’s back, that is until the time comes when, inexplicably, they split up but at the precise moment when both could have been the most useful in one another’s lives. One wonders if these flaws existed in Brando's lengthier version or if the subject matter was considerably broadened. After all, length-wise, another entire film is missing. Who knows? After all of the tragic outcomes we previously witnessed, Brando’s preferred dire ending (as described to me by actor Karl Malden, See: Close Encounters #8) seems like a conclusion that would have been too theatrical and overbearing. The alternative released finale allows the events to finish on a much welcomed hopeful note, highlighting the naturally occurring impassioned concern between our couple in love, with just the right touch of Brando’s self-deprecating sense of humour. This film is a joy to behold for many reasons: Charles Lang’s luscious photography fuses superbly with Hugo Friedhofer’s adventurous and romantically enlivened music. One-Eyed Jacks’ narrative flows evenly and assuredly, surprising for a film edited to almost half its original length. The concise dialogue is punctuated with some notably choice and memorable lines, always delivered with aplomb by a perfectly chosen cast (a joint effort by Brando and Stanley Kubrick, the film’s originally hired director). One-Eyed Jacks distinctively discerns one man’s brooding, introspective journey of discovery mirroring the star/director’s own personality traits, values, life experiences and waywardness making this a most personal and momentous undertaking, the results of which bear out. At one point, the film’s title is referred to in a clever verbal attack venomously delivered by Brando’s Rio to his once fatherly friend, the aptly named Dad Longworth (Karl Malden) who so devastatingly injured Rio’s feelings by betraying his trust, thus causing years of suffering in a deplorable hellish prison. One-Eyed Jacks’ plurality, however, accurately indicates more than one partly concealed character and accordingly will demonstrate time and again, in a well-integrated, fascinating and smart fashion, practically everyone’s duality and deceitfulness. *This latter point has been explained as understandably necessary by Universal in order to gain copyright control over what would otherwise remain a public-domain title.